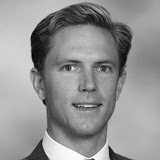 Lars Rathje is a producer for Lockton Insurance Brokers, the world’s largest private commercial insurance brokerage. He coordinates teams that drive innovative solutions for complex property & casualty, management liability, risk finance, and ACA/health benefits risks found in middle market and Fortune 1000 companies. Together with his team, he helps organizations evaluate comprehensive and complex insurance programs, allowing organizations to understand the various facets of risk management. His team spans the deal environment, conducting pre-closing insurance due diligence, constructing post-closing programs and ongoing risk management at close. Prior to joining Lockton, Lars was a Vice President at SullivanCurtisMonroe for 2 years providing insurance solutions to middle market companies and was a broker at United Agencies for 2 years working with small business and personal lines. Lars is the President of the CPA/Law Society, founder of the Executive Briefing quarterly CFO forums, and well networked to bring synergistic value with wrap-around risk management solutions. Lars received his undergraduate accounting degree from the University of California at Santa Barbara.